Recycling contamination is when incorrect items or materials are put into recycling bins. 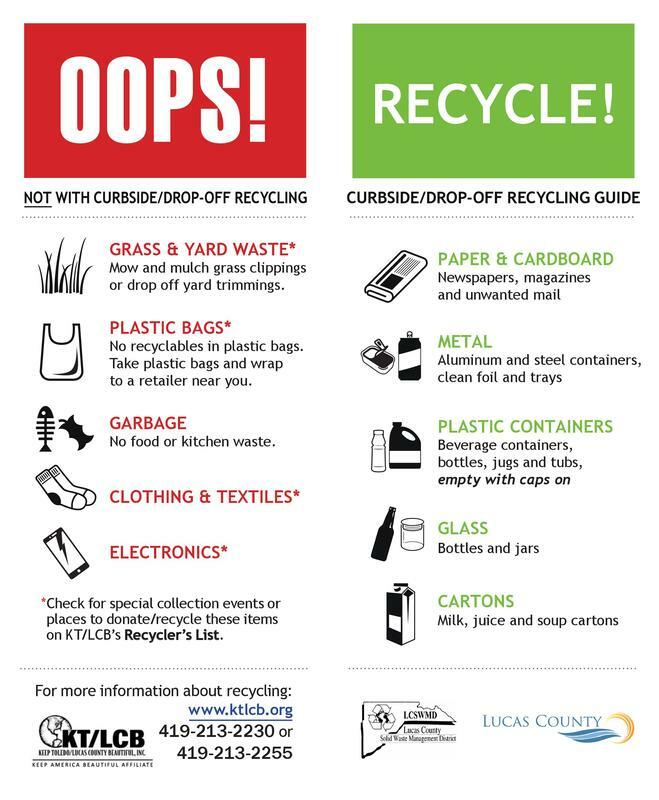 Recycling contamination can also occur when the right items or materials are prepared the wrong way (food residue in containers, recyclables in plastic bags, ect.). When the contamination of a load of recycling becomes too much, the items will be sent to the landfill even though some of them are viable for recycling. When we reduce contamination in our recycling bins, more materials are recycled. Where can you recycle certain materials? Drop off at area supermarkets including Kroger, Target, etc. Donate to the Salvation Army, Goodwill, etc.